A glance at opinion polls in Spanish newspapers for the past few months would convince you that nobody really has any clue what will happen the day after Spaniards go to the polls to elect their new prime minister in just under three week’s time on 20th December. It is without doubt the start of a new political era in Spain – a four-horse race ending the to-ing and fro-ing between the two traditional socialist and conservative parties, PSOE and PP. But anything more than a sketchy outline and you’re playing the fickle game of political predictions. The new centre-right Ciudadanos and leftist Podemos parties have everything to gain in December’s vote as they fight for their first seats in parliament’s lower house after great successes in European and local elections. Are they really the new mainstream left and right of politics – or just a protest vote content with pointing the finger at previous governments? Earlier tonight, the leaders of three of the parties battled it out in an online debate hosted by Spain’s leading newspaper El País. That’s right – three leaders, not four. Spain’s prime minister Mariano Rajoy has made no secret of the fact he dislikes debates, especially against the two new political kids on the block. He says to Spaniards that he doesn’t need to debate with his younger and far less experienced rivals. It’s a tactic to set himself out of the crowd that may just work out. So, the debate empty chaired Rajoy. Instead, he appeared on Spanish news with a one-on-one political grilling. But the debate continued despite this elephant in the room. What Spaniards will be doing in the next few weeks is testing the credibility of their political leader hopefuls, as they do the rounds on television shows and appear at noisy campaign rallies. How far will these untried and untested new parties stand up to scrutiny and be able to govern a nation of over 40 million, managing its economic recovery and the existential debate of Spain given the calls for independence in Catalonia? Prime Minister Mariano Rajoy has played a clever game in campaigning on Spain’s unity and his government’s work in steadying the ship of the economy. He’s hoping that will stand up to his political rivals who talk of proposals and solutions without ever having been in power. At the same time, the spectre of corruption scandals and a poor record in solving Spain’s massive unemployment problem – at 22 per cent – will be unavoidable. What was apparent from tonight’s debate was the unanimity in building a “new politics”. What was also clear is that there are many different proposals. 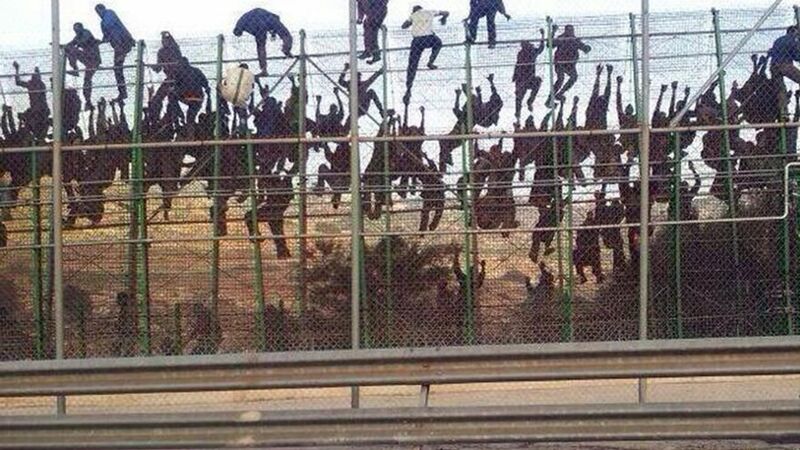 It went right down to Spain’s response to ISIS. Both PSOE and Ciudadanos insisted Spain couldn’t be left out of the Western alliance to bomb Islamic State. Podemos’ policy, meanwhile, stuck out like a sore thumb. 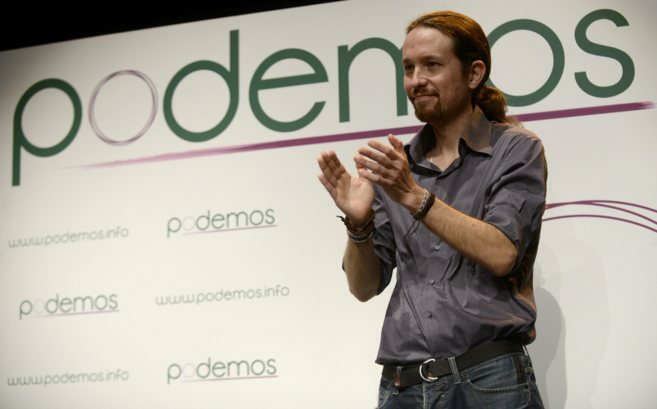 Iglesias asked – what did bombs solve in Iraq or Libya? He insisted the group’s arms and finances had to be hit instead. What is certain is that Spain is likely to be in political deadlock come the end of the year. No one party at the moment has a majority and a coalition agreement of some kind will probably need to be found. But any pact has already been ruled out by Ciudadanos, whose leader Albert Rivera says he won’t prop up any party, instead holding them account in an opposition role. Rivera is campaigning on a break with what the “traditional” parties have done to Spain. They want to create a “new era”, a “new project” for the country. It’s a move which has caused their share of the vote to rocket, as the hopes of Podemos have dipped, peaking far too soon. The climate of uncertainty about the future of Spain on a map- read the independence movement in Catalonia – raises the debate around Spain’s constitution, drawn up in 1978 and which has been left untouched since the transition to democracy following the death of Franco. Parties agreed about reforming it, but differences lie in where to draw the line on independence. The leaders talked of reform, dialogue, political regeneration, a new Spain. It makes for so many soundbites. A poll published on Sunday showed a three-way tie between the ruling PP party, the Socialist opposition and newcomer Ciudadanos, the squiggly lines converging to a single point – 22 per cent – redrawing the political map. It’s just another clue that many in Spain still don’t know who to turn to, but what we do know is that they have turned away from the traditional parties – in their droves. Will 20th December 2015 be remembered for the end of “old” politics and the start of a new page for Spain, or more of the same – for good or for bad? A country with many economic, social and political challenges, it is a moment of history in the making. I’ve been avidly following the twists and turns of the biggest story in France for a few weeks now – the controversial education reform that the Socialist government is wishing to bring into force despite protests and a lot of noise from the unions and the right of politics. It’s a heady mix of education and politics, and it rarely goes smoothly. Here is my 2-minute report on what has been happening this week with this big debate in France.